Showing 48 articles from August 24, 2016. LOUISBURG -- A Charlotte land acquisition and relocation agent decided that $225,000 was the price of progress for a Franklin County family whose house and land stand in the way of widening U.S. 401. But Lee Hamm said poor communication from the state and Department of Transportation devolved into O.R. Colan Associates firing off an eviction notice on Aug. 9, giving Hamm and his 85-year-old mother 30 days to vacate a house she's called home since 1982. LAKE ROYALE -- Local police and agents from the State Bureau of Investigation are probing a weekend shooting death in the gated community. Details at press time, though, were at a minimum. Lake Royale Police Chief Charles Ferrell said they were dispatched to 104 Pawnee Drive just after 9 p.m. on Aug. 20 and found someone dead at the home. The 911 call, Ferrell said, was made by someone involved in the shooting, but no arrest had been made by press time, but someone was being questioned. 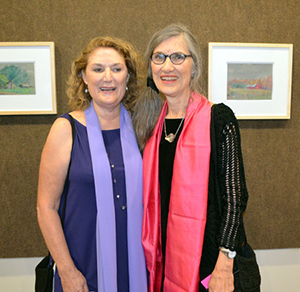 LOUISBURG -- Dozens of friends and family members of the late Betty McKinne were joined by several Louisburg College students who knew the late artist only by reputation as they all gathered at the college Monday night for the opening of the "Lost Landscapes" exhibit. The exhibition, which consists of two dozen works, will be on display through Oct. 7 at the college's Edith C. Lumpkin Community Gallery in the Seby B. Jones Performing Arts Center. FRANKLINTON -- When Lynda and Phil Difrancesco won an ice cream party, they figured it would be the perfect birthday gift for their daughter, Abigail. Abigail, though, had a better idea. 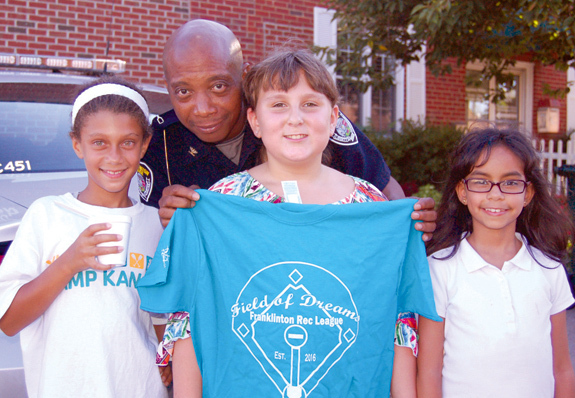 She decided that she'd share her family's gift with the Franklinton Police Department. So, one day recently, Roxanne Hudson rolled her Frost Bites food truck up to the Franklinton Police Department to get the party started. FRANKLINTON -- Renovation of the old Sterling Cotton Mill is another step closer to reality after developers secured historic tax credits that will aid with the turnaround. S.L. Nusbaum Realty Inc. secured funding through the State Housing Finance Agency's bond program to bolster the project. "This [development] is going to shed light on a neighborhood and an area of town that has been dark for a long time," said Town Manager Tammy Ray. When political junk mail steps way over the line ... ! All reporters develop an ability to tolerate political advertising, statements and arguments that not only boggle the imagination but show a great deal of ingenuity at abusing facts to support a position. But when a political advertisement is demonstrably misleading about a very important point, it's time to say that. A recent political mailing sent out on behalf of State Sen. Chad Barefoot by the North Carolina Republican Party is misleading. It creates a false impression. 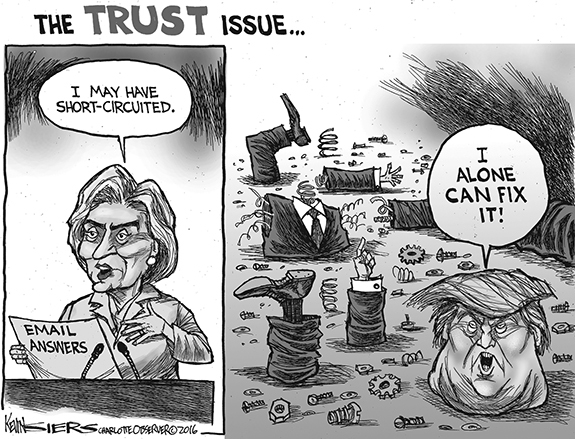 It attempts to deflect the blame from Barefoot and his fellow GOP lawmakers, where it belongs, to Barefoot's political opponent! 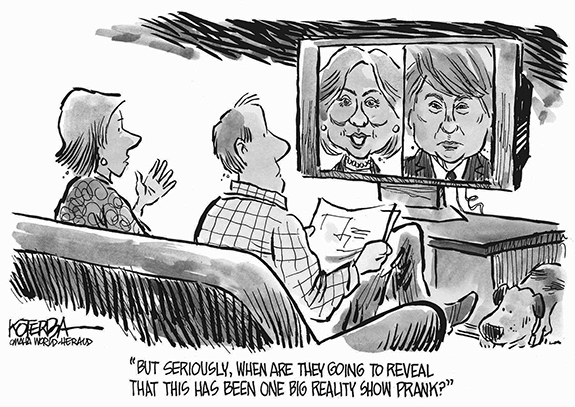 When exactly did freedom of information come to mean dissemination of disinformation? That has happened over the last two decades, first with the blossoming of talk radio then with the abolition of the Fairness Doctrine that once tried to keep television messages balanced and, most recently, with the proliferation of the internet and social media. Army veteran Mike Boncek served two tours in Iraq. However, two trips across the state weren't enough. Back in March, Boncek began a roughly 2,200-mile trek back in Jockey's Ridge, hiking across the state along the Mountain to Sea trail in an effort to raise awareness of the alarming number of veterans committing suicide every day -- 22 by many estimates. He reached Clingmans Dome, Tenn. after 88 days on the trail and he made his way back to the North Carolina coast after passing through his native Youngsville in July. You would think after the 2012 Republican National Convention Republicans, would have learned that empty chairs don't work very well for them. It may just be a case of history repeating itself in the 2016 campaign of Republican State Senator Chad Barefoot. In his first attempt at office in 2012 Barefoot, backed by a ton of out-of-the-district money, distorted the record of his opponent on his way to victory in a gerrymandered district that he had just moved into. 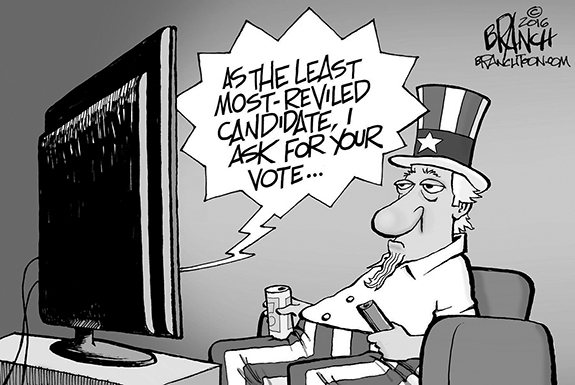 What is best for county voters? "Our goal is to work for the people of Franklin County in providing you with an equal and fair opportunity to elect your representatives in government." This is a quote from the Franklin County Board of Elections website. However, this goal has been forgotten as the Republican members of the Board of Elections proved during the last meeting. LOUISBURG - James Benjamin Finch, 75, died Monday, Aug. 22, 2016 at Franklin Oaks Nursing Home. FRANKLINTON- Herbert "Lee" Cahoon Jr., 72, formerly of Franklinton, died Tuesday, Aug. 23, 2016. LOUISBURG - Lorene Marks Bartholomew, 83, of the Sandy Creek community, went to be with the Lord on Saturday, August 20, 2016. She was born in Franklin County on June 14, 1933, to the late James Paul, Sr., and Nellie Hicks Marks, and was the widow of James Howell Bartholomew. HENDERSON - Funeral services for Lymuel Holmer Rodwell, 68, who died Sunday, Aug. 21, 2016, will be held Saturday, Aug. 27, at 10 a.m. at Mitchell Baptist Church, Louisburg. Burial will follow in the church cemetery. DOUBLE TEAM. 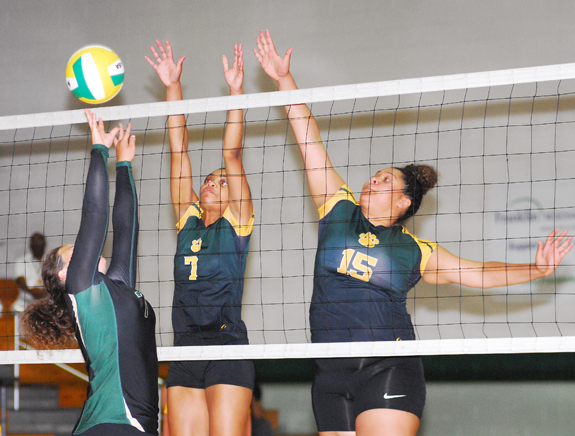 Bunn's Alexis McPhail (7) and Bre Monroe (15) double team a set attempt during last week's home spike victory against Northern Nash. 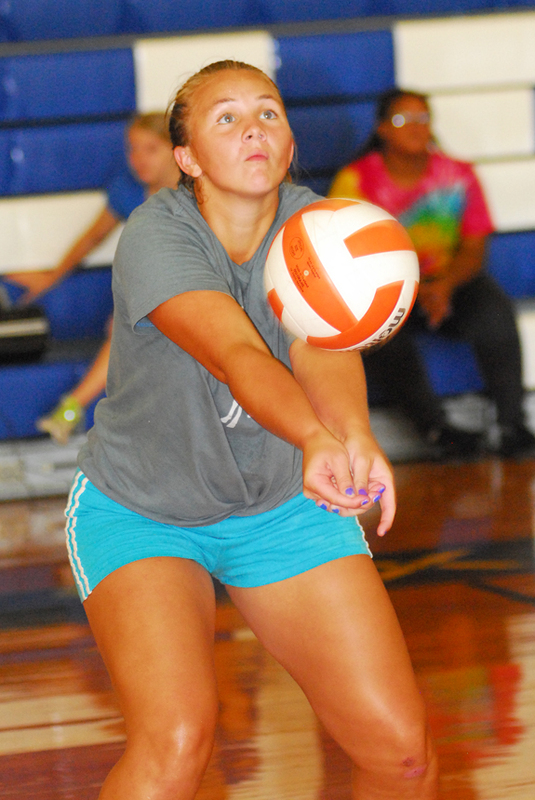 BUNN -- Bunn and Northern Nash have developed a friendly volleyball rivalry through the years, with the Ladycats usually coming away with a victory. 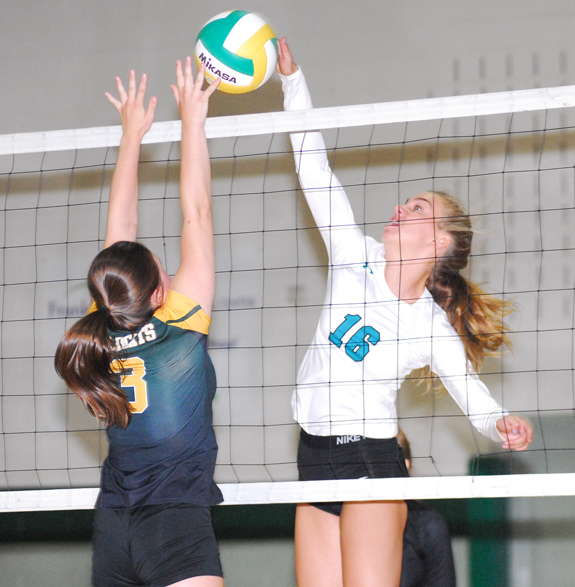 That was the case once again this fall as Bunn finished off a regular season sweep of the Lady Knights as the clubs played twice during a five-day span. Last Wednesday, NN played with some tenacity, but the Ladycats would prove to be too much as part of a 25-12, 25-17 and 25-18 decision in non-conference spike action at the Bunn Dome. GRAND OPENING. D.J. Jones' first game as a member of the Bunn High School football team was a successful one as he rushed for over 100 yards while helping the Wildcats secure a road triumph at Wilson Fike. WILSON -- The fake punt, which was such an important play during last year's surge to the state finals, is alive and well at Bunn High School. Trailing midway through the fourth period and faced with the proposition of giving the ball back to the homestanding Wilson Fike Golden Demons, the Wildcats opted for a fake, and Quenten Wright raced for 10 yards and a crucial first down that kept the ball in Bunn's hands. Moments later, D.J. 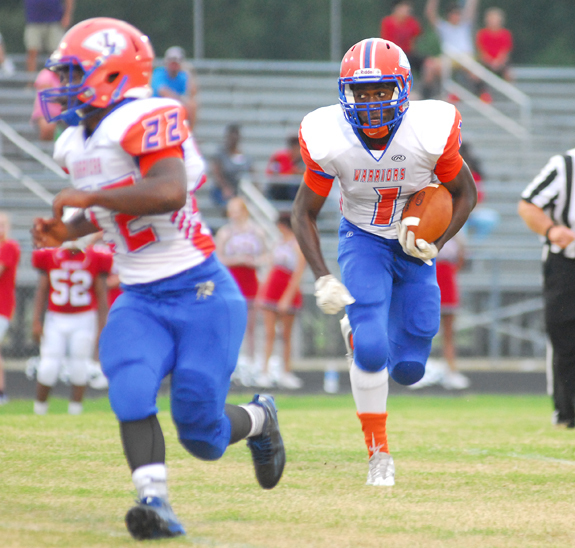 Jones rumbled in from four yards out to cap the Wildcats' 24-20 decision over Fike on Monday at Bedgood Stadium in the regular season opener for both clubs. QUAMON'S QUEST. Louisburg's Quamon Person (with ball) scored a pair of touchdowns last Friday in football action on the road at North Johnston. 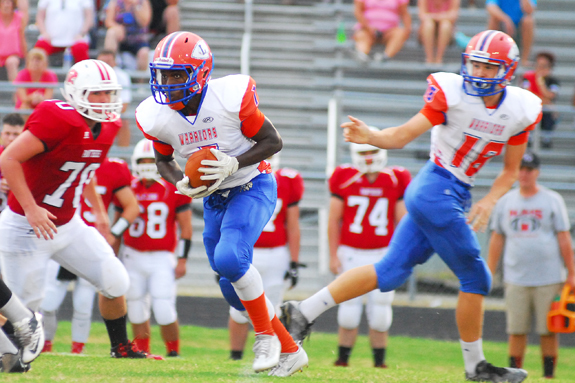 KENLY -- Louisburg's strong opening drive wouldn't translate into long-term success during last Friday's regular season football opener at North Johnston. After taking the initial kickoff, LHS marched deep into NJ territory and held the ball for over eight minutes before giving up possession on downs. Six plays later, the Panthers were in the end zone and would never trail the rest of the way en route to claiming a 42-21 decision over the Warriors in non-conference gridiron action. LOUISBURG -- Louisburg High School's high-expectation volleyball campaign is off to an effective start as the Lady Warriors are excelling under veteran head coach Erica Wammock. 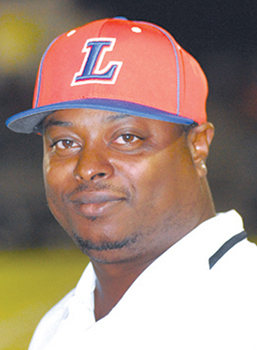 Louisburg is now 3-0 overall after securing a home decision Monday against former conference rival North Johnston. LHS won the event in a sweep by scores of 25-12, 25-18 and 25-20. BENSON -- Whatever adjustments the South Johnston Trojans made in a 72-hour span certainly paid off during Monday's regular season football opener against the Franklinton Red Rams. Franklinton, considered an underdog in the contest, led by three points over the Trojans in the second quarter last Friday before storms forced the rest of the event to be moved back to Monday. ALL HANDS ON DECK. 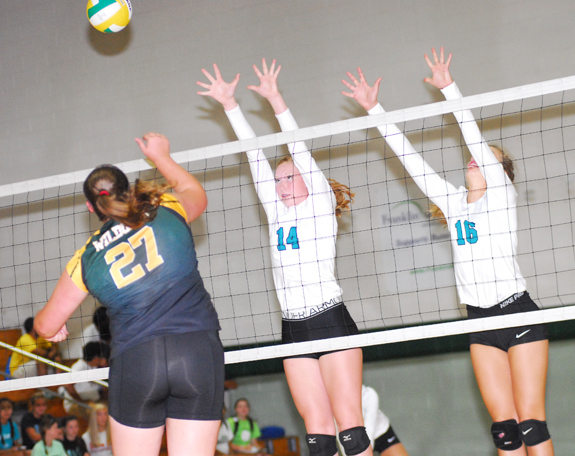 Bunn's Alex Denton (left) tries to send a tip past West Johnston's Shelby Lackey (center) and Grace Jones (right) during Tuesday's spike showdown. BUNN -- When Meredith (Edwards) Blake became West Johnston's volleyball coach last year, she sought to build a program in similar fashion to the one she experienced as a player under Henry Jones at Bunn High School. So far, so good for Blake, who led the upstart Wildcats to the Greater Neuse River Conference championship in her inaugural campaign. That now gives Blake four league crowns -- three as a player at Bunn from 2007-09 in addition to last season's heroics. HENDERSON -- The Vance-Granville Community College women's volleyball team is scheduled to play 27 matches, including 11 home matches, during the 2016 season. The Vanguards compete in Region X of National Junior College Athletic Association (NJCAA) Division III, which includes a number of community colleges in North Carolina and Virginia. WILMINGTON, DEL. -- Wilmington's Brandon Downes hit a two-run triple in the first, also scored a run in the third and threw out a runner at the plate in the fourth while helping the Blue Rocks to a 3-2 win versus the Mudcats at Daniel S. Frawley Stadium in Wilmington last Saturday night in a Class A Carolina League baseball matchup. The win stretched Wilmington's current winning streak to six straight games and ran Carolina's losing streak to six as well. NASH COUNTY -- The Nash County Parks and Recreation Department will conduct an NFL Punt, Pass and Kick Competition on Sept. 11 at Ennis Park in Red Oak. The event will begin at 4 p.m. and is open to boys and girls ages 6-15. There is no charge to participate. There are five different age groups. Participants are asked to not wear cleats. For more information or to register, contact (252) 462-2628. 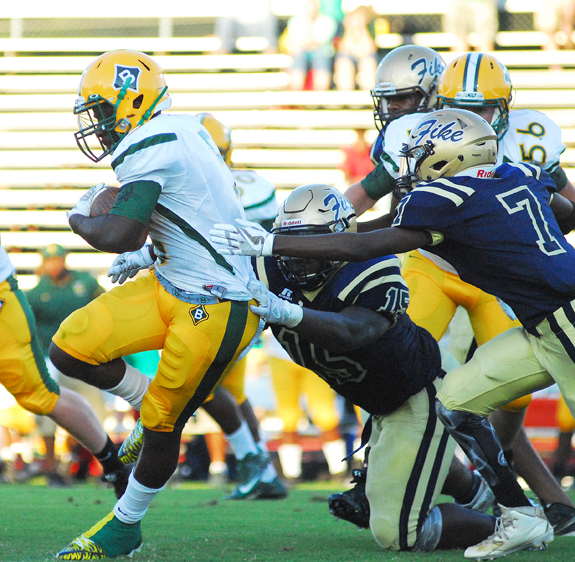 Bunn High School running back D.J. 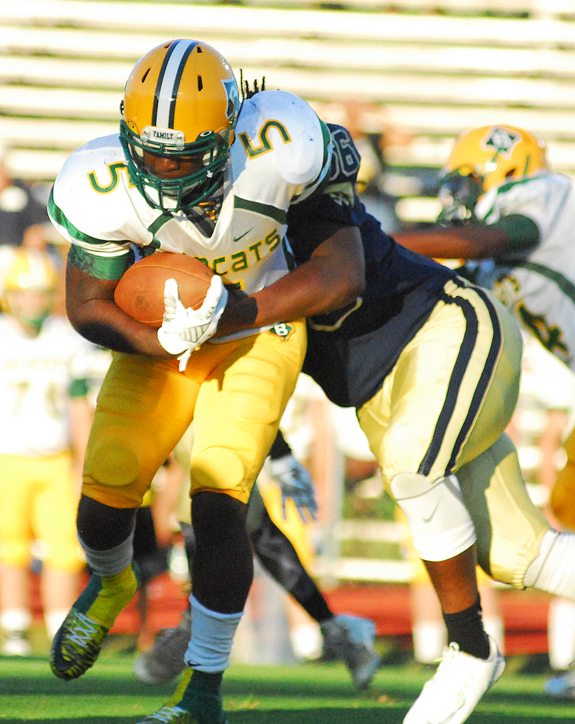 Jones sheds a tackle during Monday night's road football decision against the Wilson Fike Golden Demons. Louisburg High School's Quamon Person looks over the North Johnston defense during last Friday's football meeting on the NOJO campus. (L to R) Bunn's Erin Collier and West Johnston's Grace Jones try to gain the ball during Tuesday evening's volleyball meeting at the Bunn Dome. Franklinton, which was incorporated in 1842, three years after the Raleigh and Gaston Railroad reached what was first called Franklin Depot, grew quickly in the 1840s and 1850s. The new town attracted residents, businesses, churches, and schools. Two private academies, Franklinton Male and Female Institutes, flourished for a brief period in the mid-1850s. POETRY WORKSHOP. Franklin County Arts Council's Diversity Team will sponsor a poetry workshop titled "Finding the Words-Making Them Work" with facilitator, Dasan Ahanu from 9:30 until 11 a.m. Saturday, Aug 27. The workshop will include preparing for spoken word performances and poetry slams. Ahanu is a public speaker, organizer, workshop facilitator, poet, performance artist, songwriter, playwright, writer, educator, and recording artist born and raised in Raleigh. He has performed, spoken, and facilitated workshops across the country and been featured on both radio and TV. William and Brittini DeJesus of Castalia are proud to announce the birth of a daughter, Adalyn Parrish DeJesus, born on July 5, 2016 at UNC Nash Health Center in Rocky Mount. 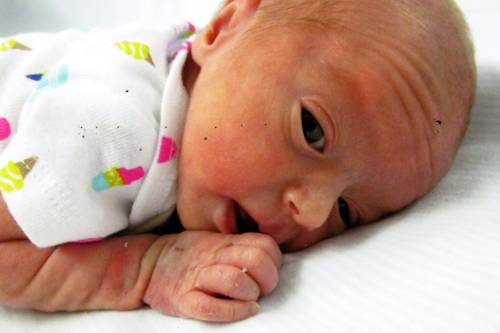 She weighed 3 pounds, 10 ounces and was 17 1/4 inches long. Adalyn also has three siblings, Melayna Brooke, Meredith Claire, and Cohen William DeJesus. 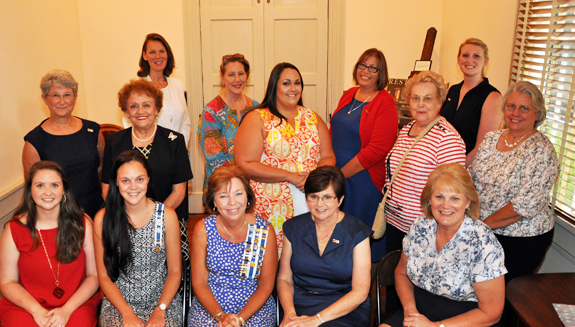 The Shocco Creek Chapter NSDAR, a newly formed chapter of the National Society Daughters of the American Revolution in Louisburg, held their organizing meeting Sunday, Aug. 21, at the historic Person Place. Cricket Crigler, state organizing secretary, joined the group for their meeting and inducted nine new members and the officers. Newly selected Kerr-Vance Academy Headmaster Frank Wiggins received a big welcome from students recently at the annual Back to School Bash. Wiggins, in the center of this photo, will take over his new job this fall. The Henderson resident is coming to KVA from Hawley Middle School in Granville County where he has been the principal. LOUISBURG -- As the summer winds down and teachers prepare to get back in their classrooms, school officials welcomed newcomers last week at the district's annual New Teacher Institute. The three-day event was hosted at Franklinton High School from August 16 to 18 and provided just short of 85 beginning and veteran teachers new to Franklin County Schools with professional development opportunities and a head start as they begin their first year in FCS. Six leaders with ties to Louisburg College have been tapped to be members of the Board of Trustees of the school, joining 26 others to oversee the only residential two-year college in North Carolina. Trustees serve four-year terms. Their responsibilities include setting educational and financial policies and ensuring sound resource management of Louisburg College. The National Society of High School Scholars (NSHSS) has announced that Mykel T. Yancey of Louisburg has been selected to become a member the NSHSS. The Society recognizes top scholars who have demonstrated outstanding leadership, scholarship and community commitment. The announcement was made by NSHSS Founder and Chairman Claes Nobel, senior member of the family that established the Nobel Prizes. LOUISBURG -- A Henderson man was killed Sunday afternoon following a single-vehicle wreck. According to the State Highway Patrol, Lymuel Rodwell, 68, was heading west on Dyking Road when the 1999 Ford he was driving ran off the road and hit a tree. Authorities said Rodwell died en route to the hospital. According to the report, Rodwell was not wearing a seatbelt. LOUISBURG -- Franklin County's governing board approved a zoning request that brings a popular Youngsville tourist attraction's zoning in line with its use. But commissioners didn't make their decision until after entertaining a dialogue they hope will bolster the relationship between the burgeoning business and its residential neighbors. John Hill Jr. petitioned the county's Board of Commissioners to rezone 23-acres of his 52-plus acre Hill Ridge Farms from residential to highway business. Crooks beware! The eyes of Pilot are upon you! PILOT -- A group of residents intent on bolstering safety and a sense of community in their neighborhood want people to know they've got their eyes out in Pilot. After a rash of break-ins struck the southeastern Franklin County community, Wendy Perry set out at the first of the year to start a Community Watch program. Together, with Franklin County Sheriff Kent Winstead and deputies dedicated to the Community Watch initiative, volunteers met to set up the program. 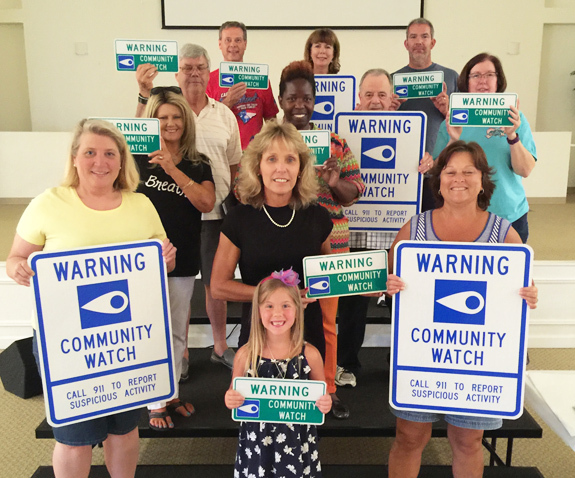 Earlier this month, their first batch of Community Watch signs arrived -- a signal to residents that their neighbors have their backs and criminal activity will not be tolerated. WAKE FOREST -- A Youngsville man accused of taking inappropriate pictures of an 11-year-old is slated to appear in court next month. According to authorities, the girl's mother alleges Vorndran used a cell phone to take pictures and video under the girl's shorts while at the Gateway Commons Shopping Center off N.C. 98 the evening of Aug. 13. The woman alerted a couple of off-duty officers about the activities. FRANKLIN COUNTY -- The Franklin County Sheriff's Office and agents with N.C. Alcohol Law Enforcement conducted a sting, targeting stores selling alcohol to minors. One of the stores in the recent sting, Ingleside Grocery, was cited in October for selling alcohol to a minor the same day he was involved in alcohol-fueled crash that killed the driver. LOUISBURG -- Police are looking for those responsible for stealing items from a store in town. The proprietor of Sears on Bickett Boulevard reported the morning of Aug. 19 that items valued at more than $7,000 were missing, including a walk-behind aerator, enclosed trailer and assorted tools. According to the report, there was no sign of force to gain access to the items. LOUISBURG -- Prosecutors informed the courts this week that they will not seek the death penalty against Garry Yarborough. Authorities arrested Yarborough on July 27, 2015, a day after they allege he shot and killed his estranged girlfriend, Tracy Williams, in a parking lot in Franklinton. A year ago, prosecutors informed the court that its case against Yarborough would proceed as a capital matter, meaning the death penalty was an option for punishment if found guilty. LOUISBURG -- Sheriff's deputies were anticipating the arrest of a 21-year-old Louisburg man accused of stealing more than $100,000 worth of hand-carved ivory figures and guns. According to authorities, a man reported on Aug. 22 that the hand-carved ivory, a 9-mm semi-automatic Beretta "Desert Storm" gun and a Kindle Fire were missing from a home in the 800 block of Fuller Road. 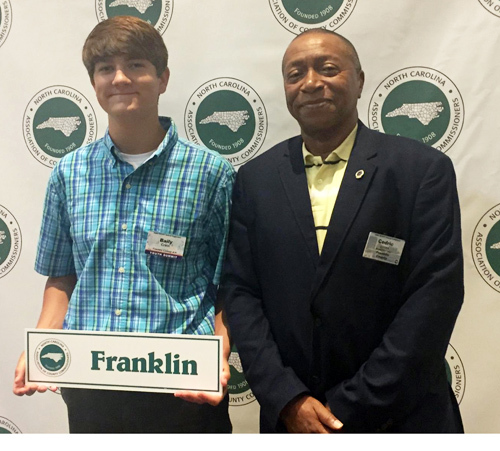 WINSTON-SALEM -- A 4-H'er from Franklin County attended the seventh annual North Carolina Association of County Commissioners (NCACC) Youth Summit earlier this month. North Carolina 4-H and the North Carolina Cooperative Extension Service partnered for the seventh year with the NCACC on a multi-year initiative to increase youth involvement in county government. SOUTH HILL, Va. - CCB Bankshares, Inc., has announced that Christy F. Quesenbery was named executive vice president and chief operating officer. In this capacity, she will have oversight of Loan and Deposit Operations, E-Banking, Information Technology, and Compliance. President and CEO James R. Black said, "Christy joined our team originally as Enterprise Risk Manager and her contributions have strengthened our infrastructure and contributed to staff development and operating efficiencies.